For the traditionalist looking for a heavier weight coin, our Brass Coin will meet your satisfaction. Challenge coins originated during World War I. They were issued to battalions as symbols of camaraderie and unity. Later, they were used as a way of verifying membership in a club, group or military unit. 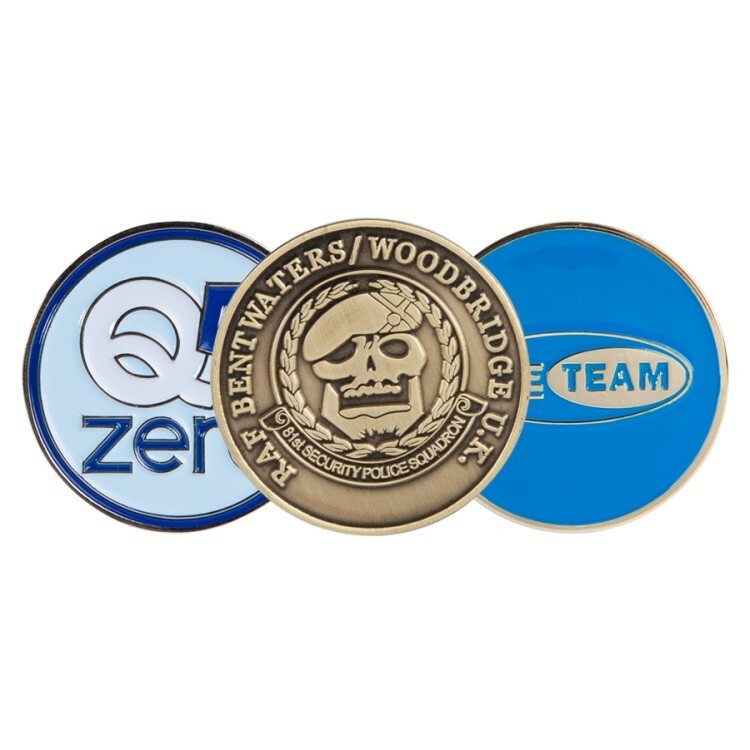 Challenge coins are now commonly given away at military and DOD meetings as a token of appreciation or as a promotional product.